Audi Sport customer team Phoenix Racing Asia have confirmed at least one full-season Audi R8 LMS GT3 entry for the 2018 Blancpain GT Series Asia season. The Hong Kong-based squad finished third in 2017’s GT3 Drivers’ and Teams’ standings, and won the Silver Cup title with #5 Marchy Lee and Shaun Thong. Phoenix is currently working on its options to enter a second Audi, just as it did in 2017, while its driver line-up also remains under wraps for the time being. “The team enjoyed a great season in 2017 and, with a bit more luck, might have won the GT3 Drivers’ title at the final round, so it’s definitely a case of unfinished business this time,” Lee said. 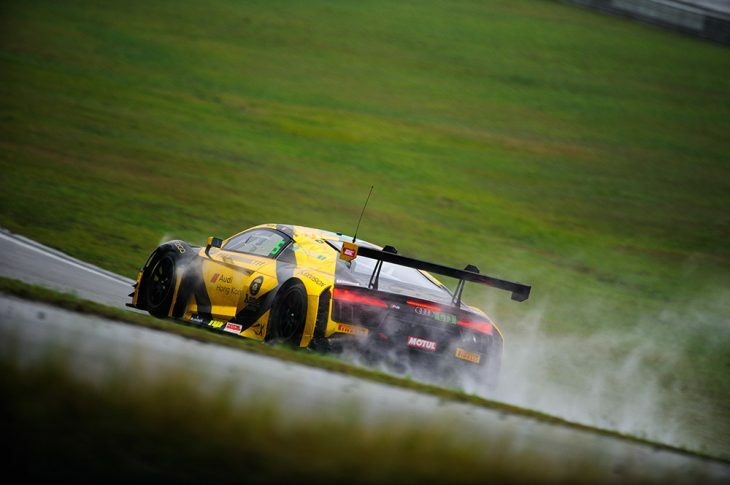 This season’s six-round, 12-race Blancpain GT Series Asia campaign gets underway at Sepang in Malaysia on April 14/15.